The form builder in the system is a useful tool that helps you to create the forms to how you would like it to look like. For this tutorial, we will be using the Repair Order form as an example. Where can I find the form builder? You can find the form builders in the settings in these places. Car Rental -> Rental Agreement -> Rental Agreement tab (if enabled). You can find out how to enable Rental Agreement builder here. How to add items to a form? Firstly, on the right side of the page, you will notice two boxes filled with items which are Layout and New Fields. 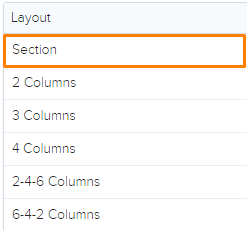 Drag and drop the layout labeled “Section” to create a new section. You will have to create sections first before you can add any other new items. If you have done it properly, you would see something like this. 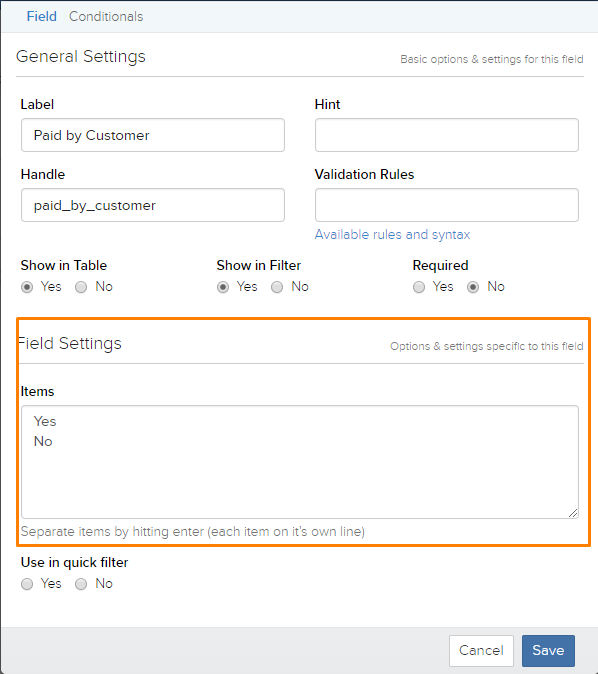 Next, you can either drag and drop columns from the layout box or the fields from the new fields box to add the items to the form. In the picture below, we dragged and dropped the “3 Columns” layout into the section that was created. You can see the difference in the picture above with the picture below. Next, we added a “Text” field, a “Radio” field, and a “Dropdown” field into the columns respectively as shown in the picture below. 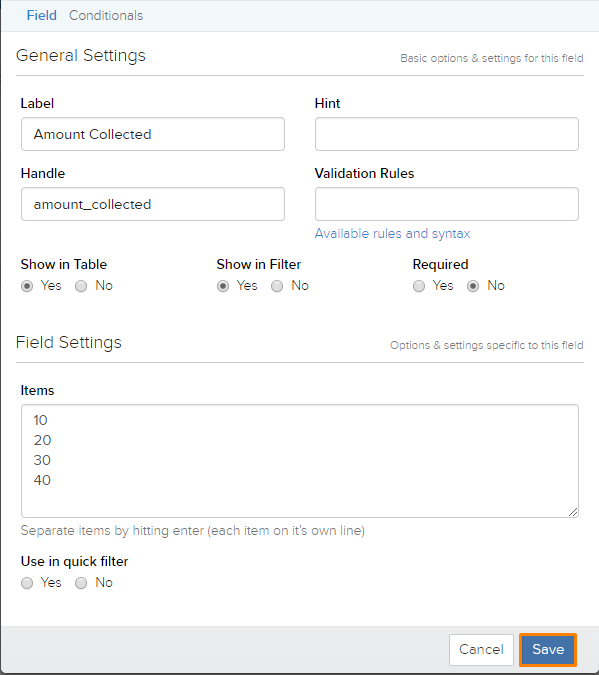 We also renamed the fields to “Customer Name”, “Paid by Customer”, and “Amount Paid” respectively. For the cases of the “Radio” field and the “Dropdown” field, you would have to click on the “Edit” icon explained below to change the values. Once you have clicked on the icon, a new window will appear as in the picture below. The Field Settings is how you change the default value for the “Radio” field and the “Dropdown” Field. There is no limit to the number of items that each of the fields can take. Once you have finished entering the values, click on the blue “Save” button highlighted in orange in the picture below to save the changes. How to remove items added to a form? On the section you would like to remove, there are 3 buttons to the right of it. Click on the “Delete” button, highlighted in orange in the picture below. How to edit items added to a form? On the section that you would like to edit, there are 3 buttons to the right of it. Click on the “Edit” button, highlighted in orange in the picture below. This is how you rename the item of the form and for some of the specific items, do a few settings. 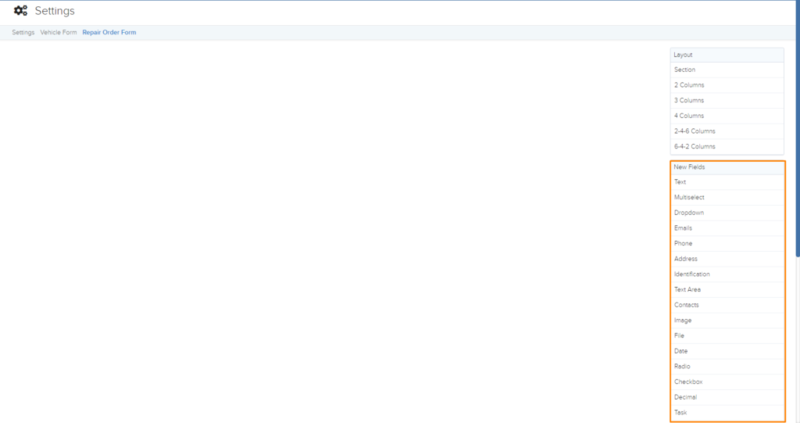 How to rearrange the items in a form? On the section that you would like to rearrange, there are 3 buttons to the right of it. Click on the “Drag” button, highlighted in orange in the picture below.